Fierce battles in the East of Ukraine, Ukrainians-prisoners to political regime caught up in Russia, everything goes around day by day. 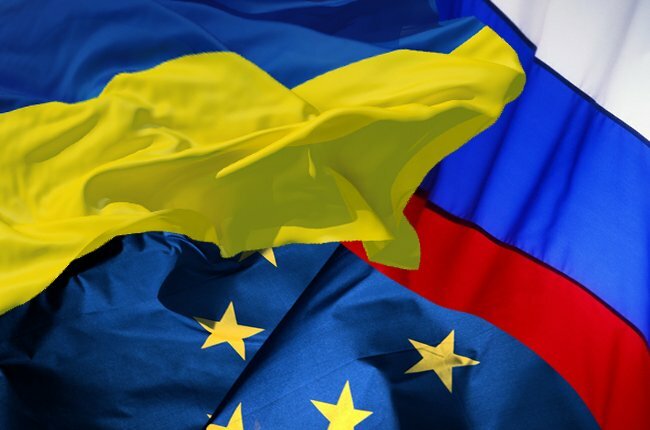 However, lately, Ukraine has faced another disappointment: failure of signing the Agreement with the EU has raised heated discussions and a huge wave of dissatisfaction among the Ukrainian citizens. Appearance of the escapist, ex-President of Ukraine, Viktor Yanukovych to the on-line questioning caused numerous arguments worldwide. It’s been a while since Ukrainians have heard about their former President and there he is. However, not I Ukraine yet. Doubtful interrogation by the Ukrainian court via internet was something rather silly. The failure of the court during questioning discredits Ukrainian authorities and the judicial system: what happened today showed that Ukrainian justice is dependable to Ukrainian authorities. The law specifies that the judicial system is independent of the other branches, and all are equal in the eyes of the law. Today it did not happen. Today happened something else: the government and state were absolutely discredited. It is a tool to destabilize the situation in Ukraine. Political scientists say that Yanukovych was reanimated was given the right to vote: we legitimize him by our own hands”. This is beneficial to those seeking the revenge of former regime; it is profitable Russian Federation, as well as to Putin. Chairman of “Naftogaz of Ukraine”, Andriy Kobolyev announced it’s been 1 year since Ukraine stopped importing natural gas from the Russian Federation. He claimed the event to be historical, as everyone said it’s impossible. Ukraine coped with all the difficulties: “if there is a will, there is a way” says Kobolyev. The President of Ukraine Petro Poroshenko signed a law that allows the National Council of Television and Radio Broadcasting of Ukraine penalize violators of the law. It’s indicated that the bill is returned with the signature of the President. The law says that the National Council of Television and Radio Broadcasting may impose sanctions on television, broadcasters, currently provided by law. If after a fine being imposed a company does not repeat the violation, the penalty is canceled within one year and the warning is not applied to this broadcasting company. The changes aim at outrooting such phenomena as separatism. As we wrote before, the Verkhovna Rada of Ukraine submitted the law allowing Ukrainian IT specialists and freelance specialists to work legally with invoice – no need to sign paper documents and send them abroad. “Ukraine shifts from the e-purchases to electronic contracting. Finally, it happened”, President's press service says. The document introduces into Article 6 of the Law "On Foreign Economic Activity" the following change: "In case of exporting services (excluding transport) under foreign trade agreement (contract) may be concluded through the adoption of a public offer via the contract (offer) or via electronic messaging, or otherwise, in particular - via invoice, in electronic form, for the services rendered."